Hi, I find With Sympathy and Sorry for your loss cards to be the hardest cards to make. Unfortunately, as the years pass by I find myself needing more and more of them. 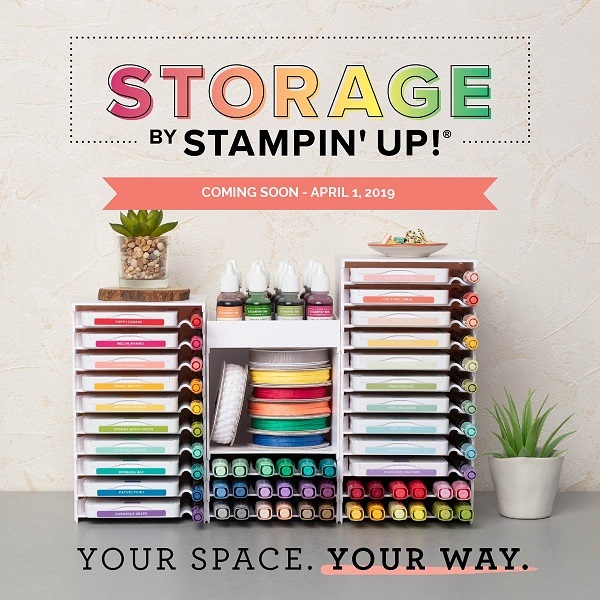 This year, I have decided to try and make a few to have in my stash just in case I have the need for one, and hopefully, I won’t need them for a long time! It is always much more difficult to make these types of cards when you HAVE to make them! 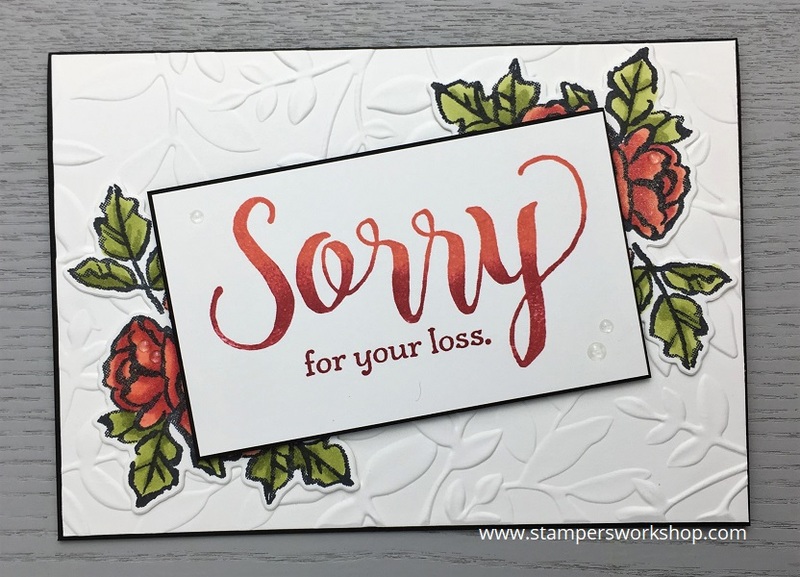 I thought the flowers from the new Petal Palette stamp set would look beautiful when paired with the large “Sorry” sentiment from the Sorry for Everything stamp set. I used my Stampin’ Blends to add colour to the floral images. 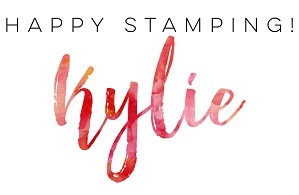 To add colour to the sentiment, I added Calypso Coral ink to the Sorry stamp then I used a sponge dauber to apply Cherry Cobbler to the lower part of the stamp. If you “pounce” the sponge dauber you minimise the harsh line you might otherwise get (unless, of course, this is the look you are trying to achieve). I layered these images on a panel of Whisper White cardstock which I had run through the Big Shot with the Layered Leaves Textured Impressions Embossing Folder. The pattern it creates is so pretty! It might be a little too bold for a “with sympathy” card but you could always recreate the card using softer colours. Next time, I think I’d like more of the flowers showing. Additionally, you could also substitute the sentiment with something like “Happy Birthday” or “Thank You”. Do you also have difficulty making “With Sympathy” or “Sorry” cards?